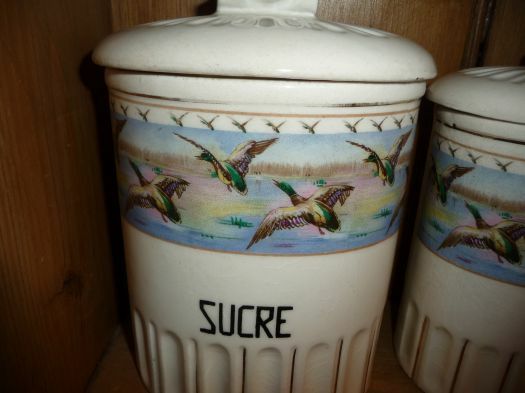 Rare pattern of wild ducks for these canisters, to keep sugar and coffee. 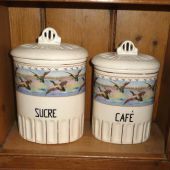 Good general condition, some crazing as often on old ceramic, and a small chip under the lid of coffee canister. 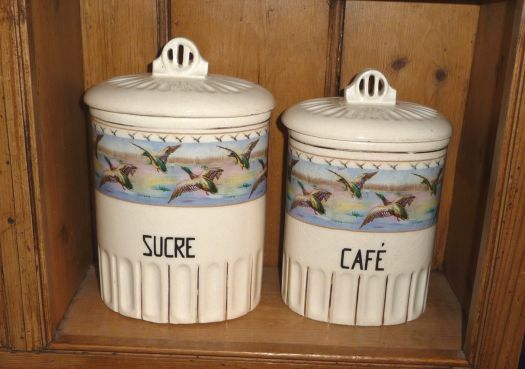 Heght 18 cm and 20 cm.